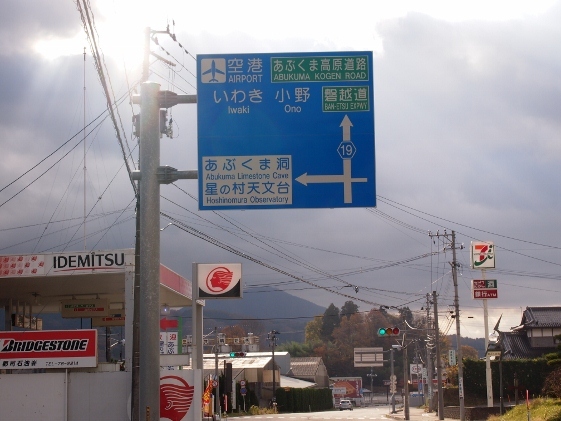 Today I originally planned to stay in Tamura City because I assumed this day would rain. 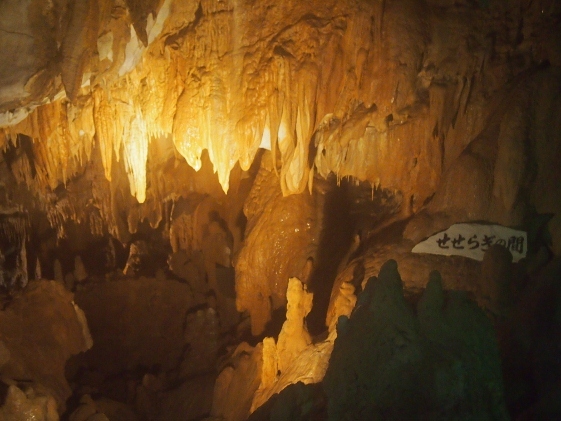 However, since it did not rain, I decided to visit Abukuma and Irimizu Limestone Caves both of which were located in Tamura City. 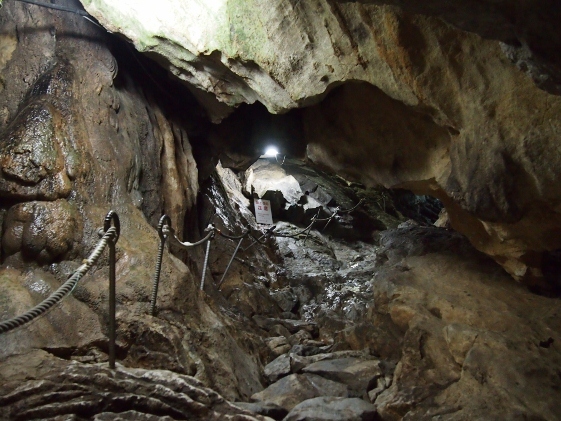 Both caves had entry point along the Route 19 towards south. 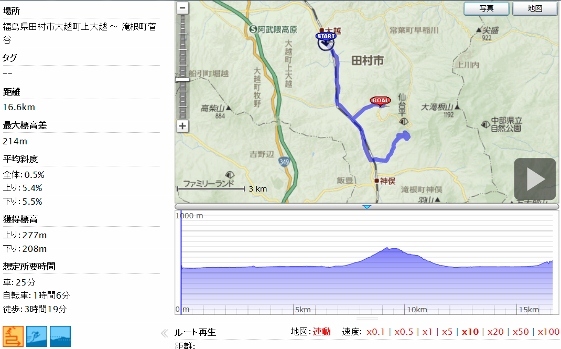 As shown in the GPS log below, the road toward Abukuma Cave from the entry point was a hard 2km hill climb which went up 200m with 2km bike ride. 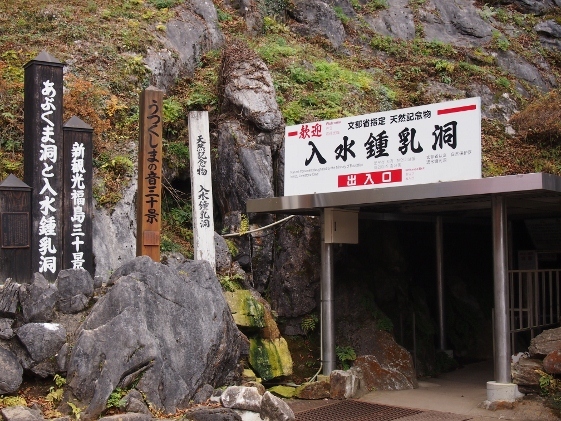 Five pictures are shown above before entering the Abukuma Cave. 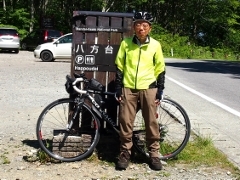 After entering the branch road according to the guide sign of the first picture then a hard hill climb road of more than 2km followed a part of which was shown in the second picture which was taken after the climb. 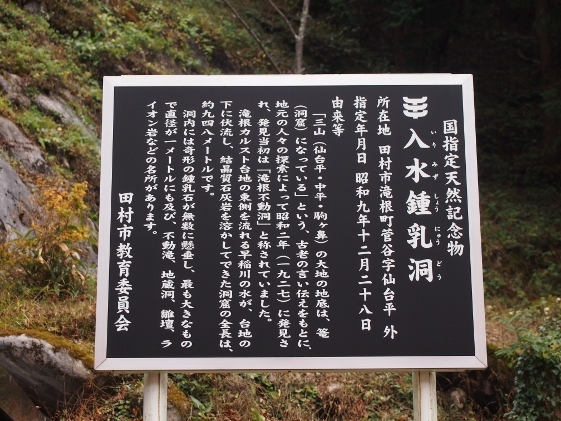 Then Abukuma Cave sign board of the third picture welcomed me. 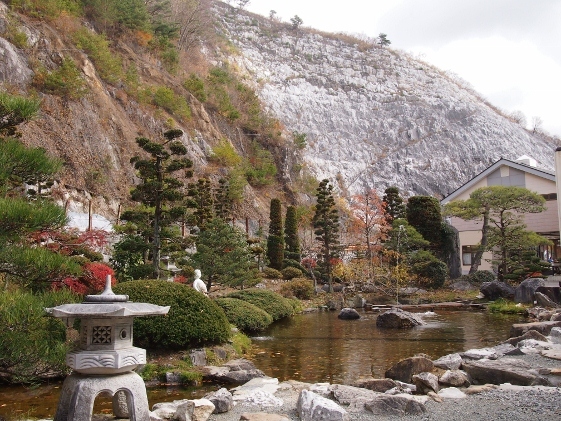 The fourth picture shows a view at the top and I could find layers of limestone. 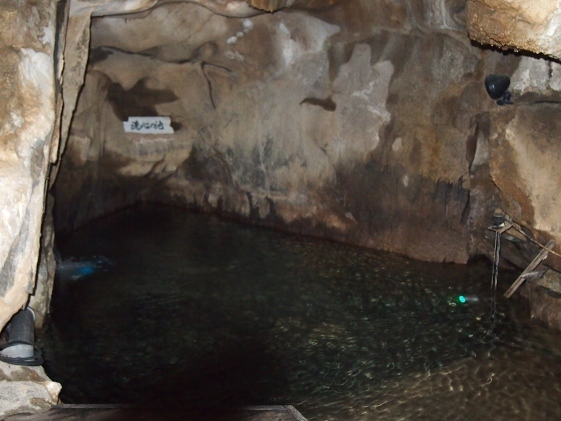 The last picture shows the entrance to the cave. 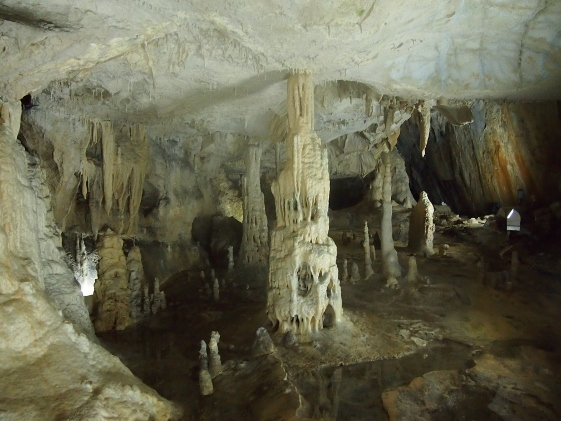 Five pictures are shown inside the cave. 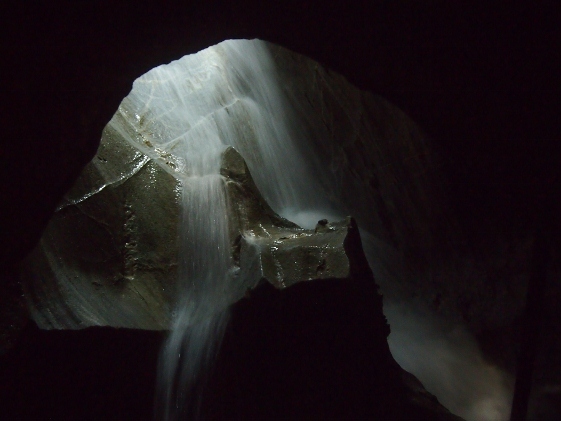 The cave consisted mainly of stalactite and underground water. The color was made by the unique light control system used. 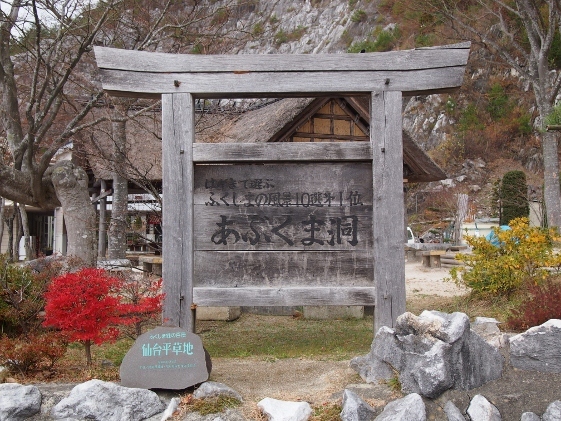 Next, three pictures are shown before entering to Irimizu Limestone Cave. 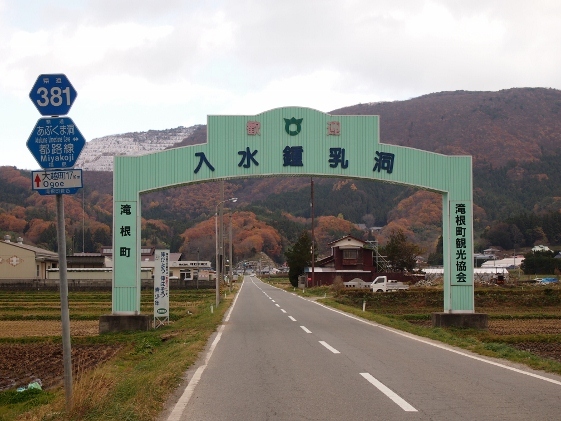 When I went north for a while on the Route 19 and turned right then the welcome gate appeared as shown in the first picture. 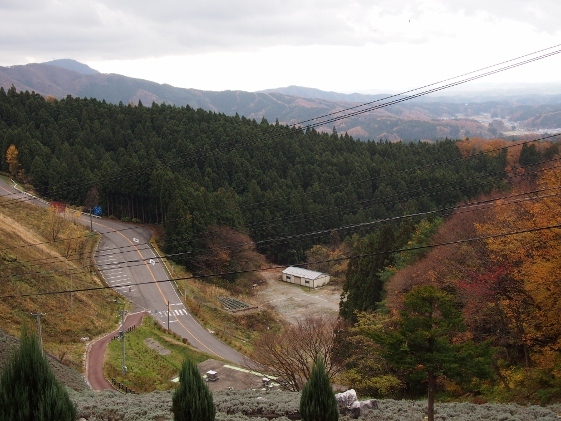 After some hill climb　then the entrance to the cave appeared as shown in the second picture. 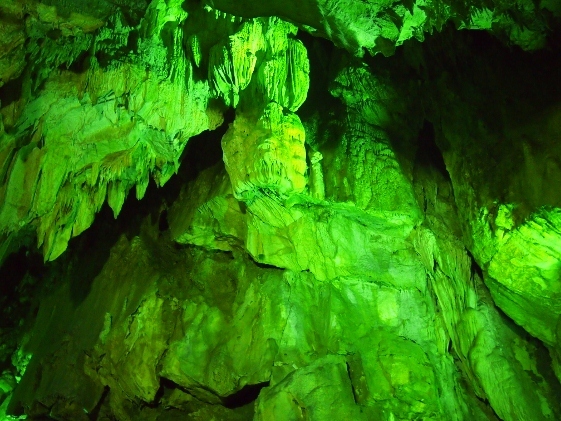 As the picture tells, this cave had been designated as National Natural Monument. The third picture explains some detail. 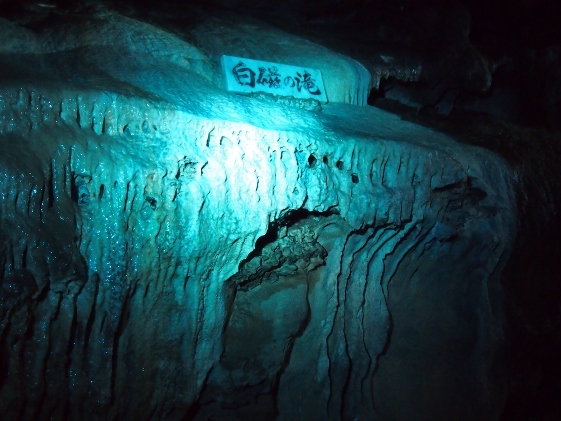 Five pictures are shown inside the cave. 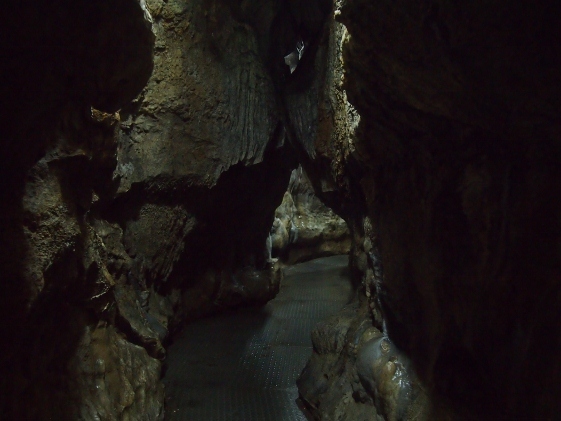 Since this cave especially had abundance of underground water flowing inside, one with usual wear could only walk as far as the entry area. The last picture shows the limit of that point and from here on water comes up to one's waist. 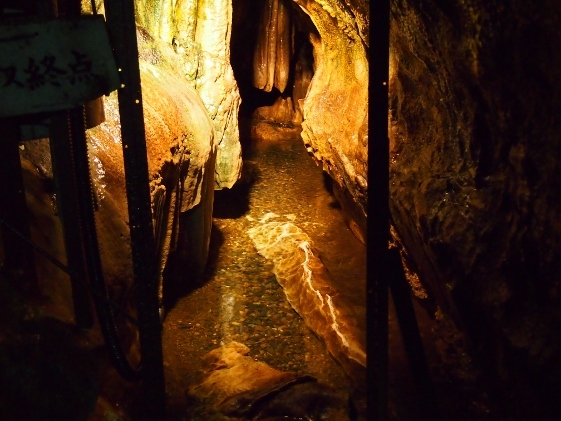 Today I stayed at Hoshinomura Fureai Inn which was located just adjacent to the Irimizu Limestone Cave as shown in the picture above. 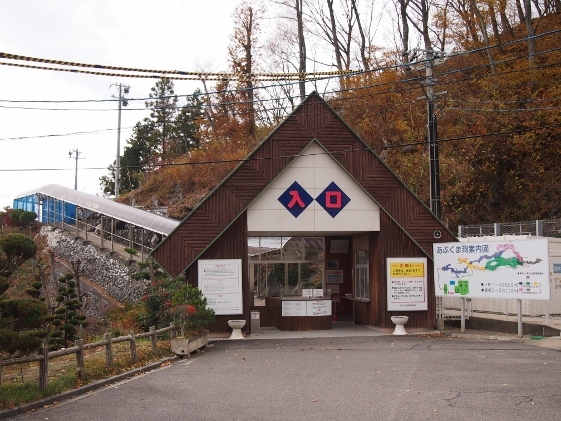 This public inn was operated by Tamura City. 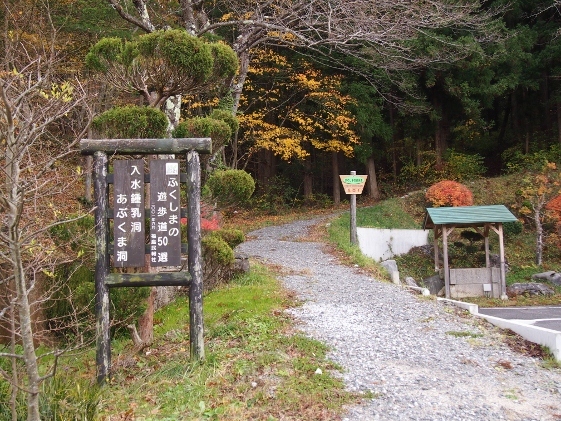 There was an entrance of nature promenade across the road. 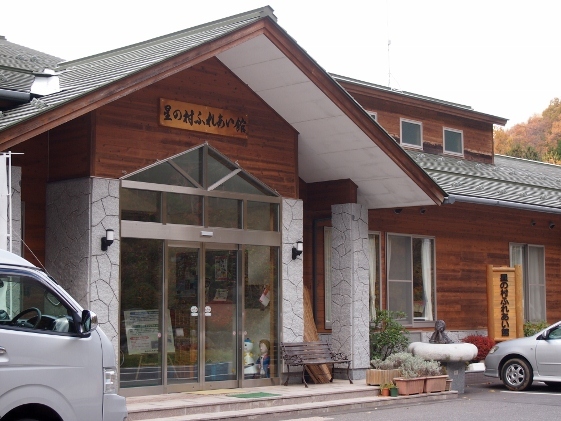 This inn did not have hot spring, instead it had a bath of heated mineral water called "Natural Water of Abukuma" and this bath kept me warm for a long time.